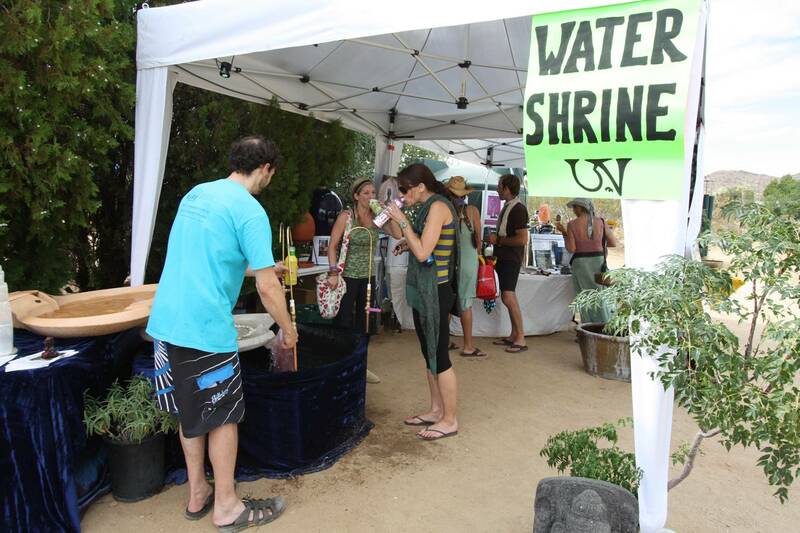 The Water Shrine for 2009 BhaktiFest made this event more eco-friendly by banning bottled water, participants were made aware prior to the event that drinking water would be provided and only to bring empty bottles. The 3 day event with 2500 participants who received most vibrant living drinking water I was able to create at that time. I also provided a 45 minute presentation to a group of 250 BhaktiFest participants. In pictures above, the Emerson Flowform pulsed vital life flowing vorticies and meandering figure 8 movements as the Water Shrine received blessing from all as they filled their water bottles, jugs and buckets for those providing food at the event. Water Purification/Transformation equipment behind table, behind equipment 4000 gallon supply tank, filled by delivery truck.Water Angels Iris and Cyan, many thanks for helping make the Water Shrine happen so lovingly! I am currently taking reservations for upcoming events. Email me if you wish to truly make your event eco-friendly by not allowing bottled water at your event and having us provide the Water Shrine for you! Why is the quality of water we drink so important? The foundation of optimal health and vitality is WATER. It is responsible for the function of every biochemical interaction that occurs within every cell and tissue in our body. Water is the most essential substance to our existence. I see a missing link, as today there are so many people interested in obtaining optimal health, people experiencing all sorts of chronic health conditions and people realizing conventional medicine does not have all the answers to our health issues, yet so little is spoken about the quality of the water we consume on a daily basis. Water is the most undervalued part of our daily diet and the most under-prescribed medicine by healthcare professionals. Considering that our bodies are mostly water, I believe the water we consume to be the underlying matrix that determines our ability to achieve optimal health on all levels. Proper hydration is crucial in almost all biological process. From controlling the body’s metabolism, to regulating blood pressure, to the body’s ability to eliminate waste on a cellular level, optimal health requires proper hydration. Water is the substance that makes the majority of the body’s functions occur; water maintains our vigor and vitality. Yet, many people go through life drinking too little water and water of poor quality, setting their body up for imbalances and disease. If one expects to achieve and maintain optimal health, then one must maintain proper hydration. Not all water is the same and only water of a certain quality posses the ability to thoroughly hydrate the body. Not being completely hydrated is what doctors are now calling “subclinical dehydration,” or dehydration without the acute symptoms. This means, you may be dehydrated, but not feel dehydrated. With just a three percent loss in body water volume, fatigue and organ dysfunction are caused. Once a person begins to experience a dry mouth, the body has already begun to suffer the stress of dehydration. Since it’s the large intestine that assimilates the water we drink, it takes 48 hours to rehydrate ourselves once we have become dehydrated. We have water both inside and outside of our cells, however, only water of a certain quality can penetrate the cell membrane. This intracellular hydration is crucial to the inherent function of the cell, enabling it to cleanse itself of wastes and toxins. In addition, our metabolism requires optimal hydration to function properly. Micro currents of bioelectric signals are sent from the brain to regulate metabolism. Proper hydration supports the optimal conductivity of these bioelectric signals, enabling the metabolic system to communicate with the body efficiently. In order to achieve this complete and intracellular hydration the water we drink must be of a very high quality. Recent discoveries have shed new insight on what is truly required to effectively hydrate the body at the cellular level. A fatty membrane encases the cells in the body. This membrane keeps intracellular water in place and also selects what is allowed in and out of the cell. This membrane also helps regulate the water content of the cell. Until recently, the exact means by which water enters the cell had not been precisely understood. Scientists assumed that water simply passed through the membrane because the membrane was somehow semipermeable. Then, in 1992 a Johns Hopkins researcher, Peter Agre, discovered our cells possess protein water channels that he named aquaporins. Aquaporins are tiny water-bearing protein channels in the cell membrane. Different types of tissues possess different types of aquaporins for optimal management of water flow. Most importantly what was learned was that it is water’s molecular structure that determines absorption and hydration of the cells. Water in its liquid state is a network of fairly large clusters. Aquaporins only allow water molecules whose structure are small enough and arranged in the proper order to enter the cell. Our bodies must break down larger water clusters into smaller, more manageable molecules for optimal absorption. Age, toxin exposure, weakened immunity, stress, and many other factors impede our body’s ability to do that. This is very important because it is in this cellular interaction is that we are either fed or not fed on a subtle energetic level. Being subclinically dehydrated long term can contribute to accelerated aging and life-threatening illness. This is why proper hydration is so critical. Only water cures dehydration. Once dehydration is corrected at the cellular level, healing is possible. Many disorders are triggered or worsened by dehydration. Under the stress of dehydration the body takes desperate measures to conserve water, which disrupts many areas of our physiology, including the immune system, inflammatory response, hormonal balance, and even blood pressure. How do we make cellular hydration occur if the water molecule is too large to be easily absorbed? With an all-natural approach, by observing how nature creates water of this quality, we can restructure water into smaller clusters and arrange their bonds so the water molecules are accepted by aquaporins. Unfortunately, in today’s world, most people are very removed from ancient water wisdom’s. 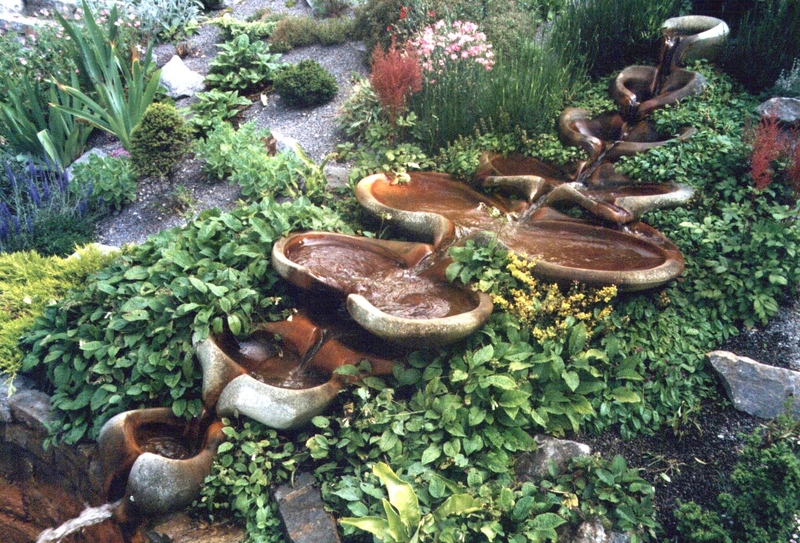 Native peoples, indigenous cultures and advance ancient civilizations understood that certain springs were more suitable for drinking than others. 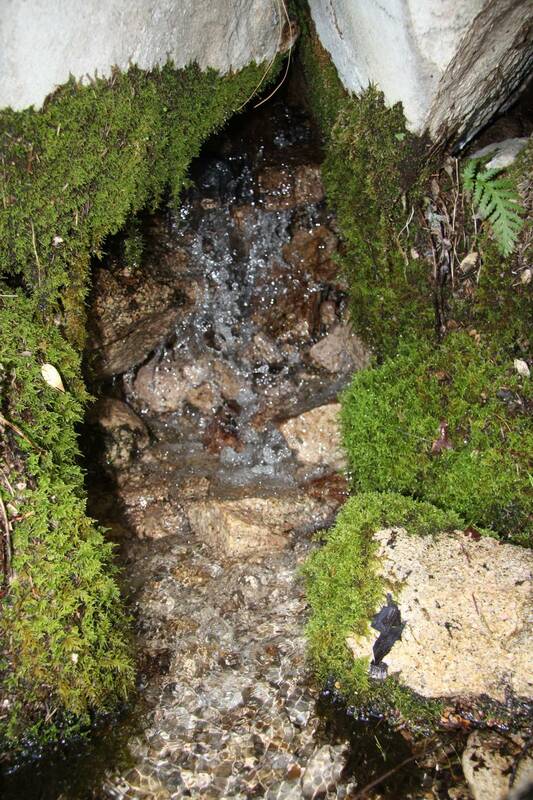 True Springs are found all over the world and can be differentiated from seepage springs by temperature. They are usually found in old growth forest, as there is a symbiotic relationship between the spring and the ancient trees. Unfortunately many true springs have disappeared with the ancient forest. True Spring water has traveled a complete hydrological cycle. First traveling deep into the earth and on its journey downward, water reaches the point where it comes into contact with the earth’s molten layers, than it is completely purified and energetically reborn. This reborn water, under enormous pressure, is than pushed back to the earth’s surface. As it journeys upward, it grows, is endowed, it matures and gains structure through the contact it makes with the different layers of minerals and stones before returning to the earth’s surface. Other symbiotic relationships play an important role in the existence of a “True Spring”, as well: the energetic synergies of the earth, its atmosphere and the energetic influences of the cosmos. A “True Springs” relationship with the ancient old growth trees where it emerges from the ground, is very important in facilitating the flow of energy that makes these symbiotic interactions possible. The final part of the journey in which water becomes fully enlivened is it’s cascading movement in a waterfall and or flowing in a mountain stream where it is naturally infused with oxygen. My approach to water is based on the understanding that when it is in its purest form and of its highest quality, it is a “Living Substance” endowed with both physical and energetic qualities that are inherently necessary to properly nourish a living organism on all levels. Modern science and its technological systems to date, refuse to perceive water as a “living substance”, how it’s capable of holding vast amounts of information, how it functions energetically within the environment and how it synergistic-ally conducts vital life energies throughout the environment. Thus, conventional water treatment overlooks the energetic quality of water in its treatment processes and its standards of water quality. While these conventional systems are very effective at removing physical contaminants, they do not address the energetic qualities that remain after conventional treatment. Water is like a DVD or CD: it remembers everything it comes into contact with and holds that information in an electro-magnetic imprint. After conventional treatment water remains energetically dead, lifeless and laced with harmful information. 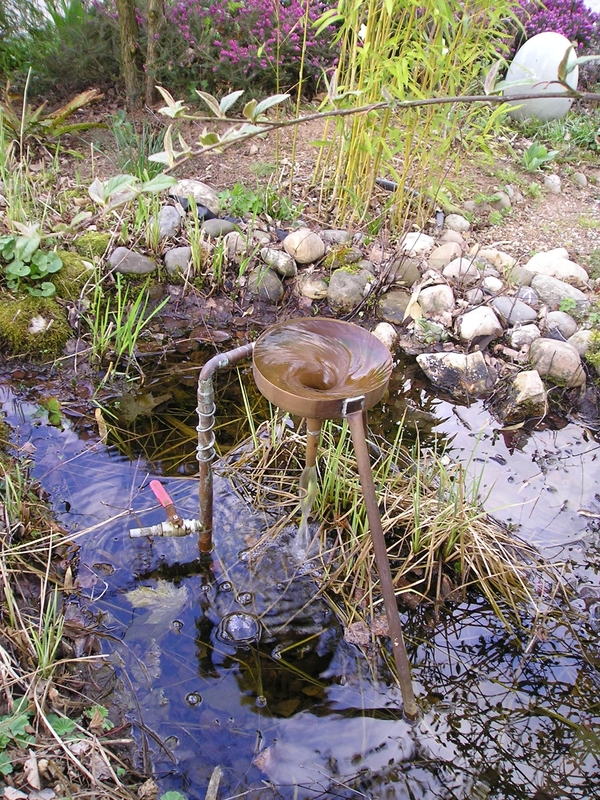 Another drawback to conventional water treatment is the removal of beneficial trace minerals. As well, the conventional transportation of water through straight pipes and its delivery in highly pressurized systems further contribute to the detriment of water’s energetic quality. In addition, water handled in these conventional ways creates an environment for pathogenic bacteria to breed, thrive and is also responsible for the phenomena of mineral deposits in pipes, appliances and water equipment. The concept of addressing the energetic quality of water is relatively new. People don’t realize it, but we are constantly energetically saturating our bodies through the fluids we drink. By design, the body has the ability to be nourished both physically and energetically. Unfortunately, due to processing, packaging and delivery methods, the fluids we often consume are energetically dead and laced with harmful information. 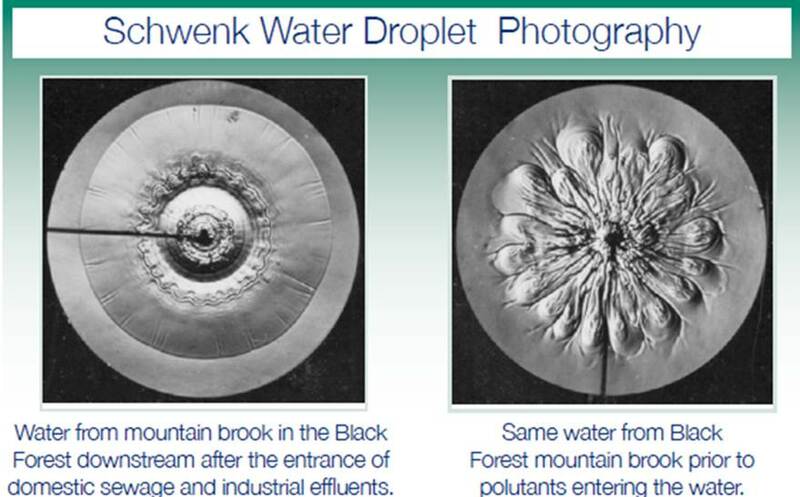 Back in the 1970’s Theodor Schwenk developed the first method of depicting water’s energetic quality; this method is call Drop Photography. 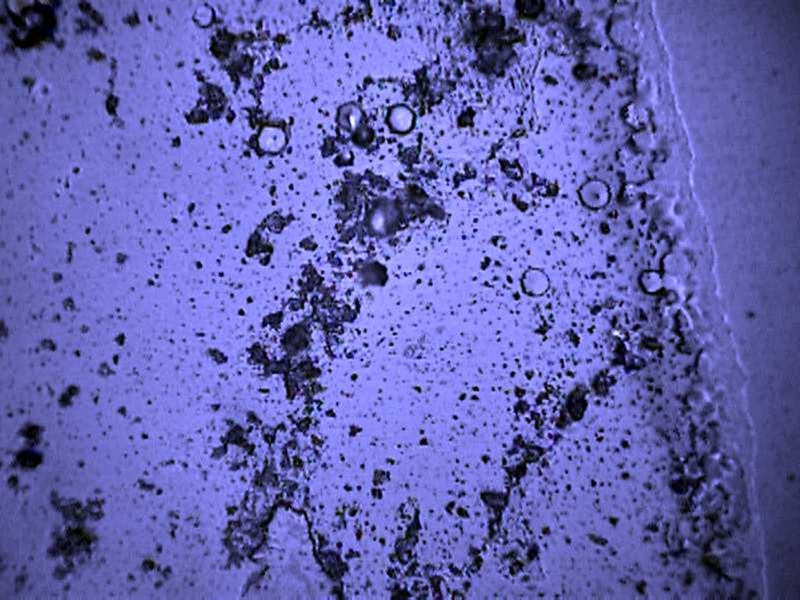 This method involves photographing and analyzing the formations generated by single drops of water as they impact a dish of water and glycerin. The drops are photographed at the moment of impact. Complex patterns of harmonic turbulence occur, which differ depending on the quality of water being tested. If water is of good quality or tested from a natural source it will express rosette and vortical patterns. If water is of poor quality or contaminated by pollutants it will lack expression. 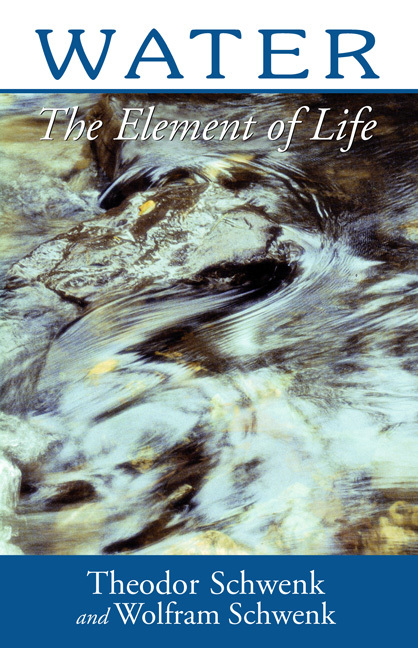 Schwenk created the Institute of Flow Sciences in Herrischried Germany and authored the book “Water the element of life” with his son Wolfram Schwenk. 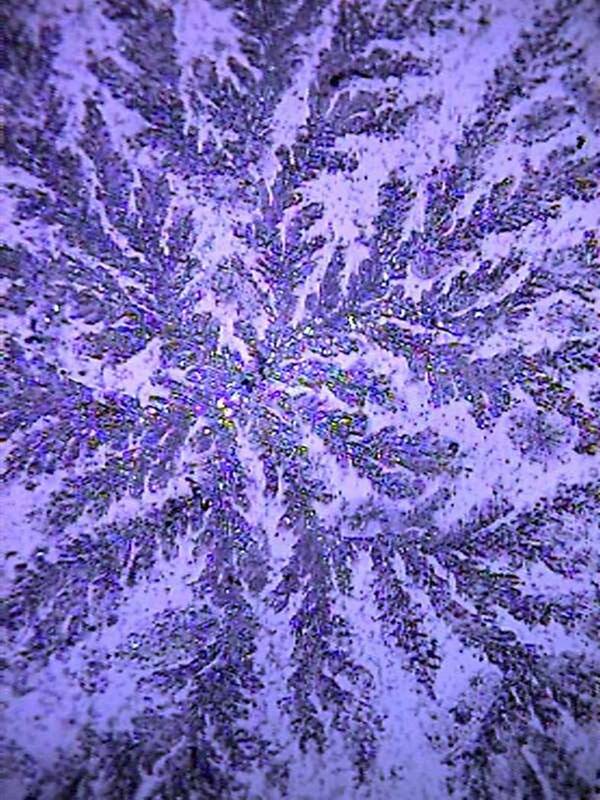 Another method depicts water’s energetic quality in frozen water crystals. Water research and author Andreas Schulz developed the Hagalis method of water crystal images. Above is tap water from Paris France. Above is a “True Spring” water. In recent years water systems I commonly refer to as “micro water” systems have become the hip new craze. The Kangen, Jupiter and other brands utilize an electrolysis process to split the water molecule. These machines are really therapeutic healing devices which have proven themselves effective to shock the body back into an alkaline state when afflicted with cancer or severe obesity. This is obviously not a natural way of going about conditioning water. As well, these system have insufficient purification before the water is exposed to the electrolysis process. Much more research needs to be done on what exactly happens to contaminates exposed to the electrolysis? Do those contaminates become more volatile? No one seems to be talking about this important point. I do not recommend these types of systems, these systems manipulate water quality in a very unnatural way. The water systems I advocate and offer copy the formation of a “true” natural spring, going beyond just purifying water, to additionally transforming and enhancing water into a “true” natural spring water quality. There is no single water system that can do this, so I integrate an array of the very best components available to create the finest water possible. Within this array of components water is first purified on a physical level, then transform and enhanced into “true” spring water quality. Reverse Osmosis is the first component used for purification. This component mimics water’s journey down deep into the earth and its contact with the molten layers. After Reverse osmosis water is reborn. Water purification is extremely important, but is only half of the process. Once water has been physically purified, it is crucial that it is enhance, transformed, energetically purified and endowed into spring water quality. Water is enhanced by passing thru stratum/media layers of semiprecious stones and rare minerals from Japan. The water’s contact with this special media ionizes, alkalizes and naturally infuses it with nano size traces of available minerals for the body. Because of the special media used in this system, water gains bacteriostatic and fungistatic properties. Next the water is “Energized” and “Structured”. In this Energizing/Structuring process semiprecious stones are utilized because of their ability to enhance nourishing energies and to dissipate harmful ones. Each stone has its own unique qualities: Sodalite improves cellular hydration, Blue Calcite aids in oxygen utilization, Carnelian stimulates creativity, Aventurine neutralizes EMF pollution, Amethyst emits negative ions, Jasper offers a grounding Earth quality, Rose Quartz transforms stressful energies into heart-based energies, Citrine encourages proper metabolism, and Garnet enhances the nurturing actions of all the stones. The high frequency mixture of minerals, semiprecious stones, and gold nuggets restore water’s original vitality as it takes in the Earth’s natural frequencies, imparting a harmonizing resonance, making water energetically purified. The final component, a Vortexing process, increases the availability of dissolved oxygen in the water. Water treated with this array of components is completely purified, mature, vitally alive, it’s water that is nutrified to feed both body and soul. The manner in which we store our drinking water is also very important. Clean shower water is much more important than you may think. Each day a person drinks about 1-2 gallons of water… but exposes one’s self to 25 gallons of water when showering. The American Journal of Public Health determined that up to two-thirds of harmful chlorine exposure can be due to skin absorption and inhalation while showering. 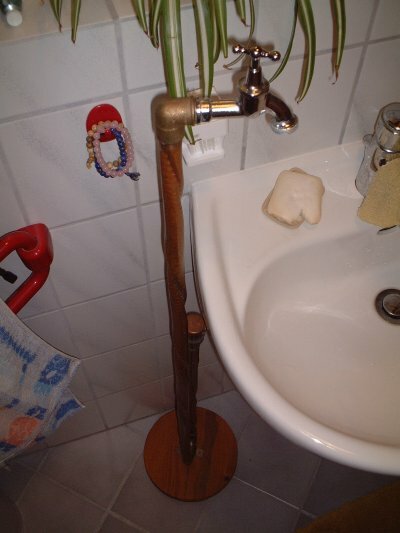 The Journal also links chlorine to “significant increases in certain types of cancer, asthma and skin irritations…” and stated that “up to two-thirds of the harmful exposure was due to skin absorption and inhalation of chlorine in shower water”. The steam inhaled during a shower can contain up to 20 times the concentration of chlorine (and other synthetic chemicals) as tap water. One can absorb as many toxins in 1 shower as you would drinking tap water for an entire week. Studies show that after a 10-minute shower in chlorinated water, your blood levels of THMs (common disinfection byproduct – DBP) can potentially increase by as much as 700%. How can your exposure to chlorine and its associated DBPs be higher when you shower. Why doesn’t the chlorinated water just bounce off your body? Simply a hot shower causes the pores of your skin to open, which in turn elevates the absorption rate of chlorine and other chemicals directly into your system and causes the body to directly absorb foreign chemicals into your body tissues and bloodstream. Not to mention the fact that chlorine strips the natural protective oils from skin, causing excessive drying. Different from drinking unpurfied water where your digestive system has the ability to filter out some of the harmful contaminants, in the shower, these contaminates are directly absorbed into the bloodstream..
Absorbing and inhaling chlorine and associated DBPs are not healthy for you or your family. Long-term health risks certainly can spike due to chlorine effects on your bodily functions. U.S. Environmental Protection Agency (EPA) – When chlorine vaporizes in steam in your shower, it converts to chloroform gas. Chloroform can be a strong respiratory irritant and cause fatigue. The bottom line – When absorbed or inhaled into your body, chlorine DBPs can potentially cause a weakening of your immune system… disruptions to your central nervous system… damaging effects to your cardio system… unhealthy functioning of your renal system… and harmful impacts to your respiratory system. Shower filtration is one of the best and easiest ways to reduce our harmful exposure to chlorine and other tap water contaminants. 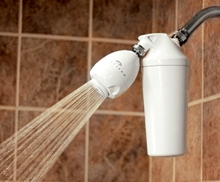 The bottom line is is your not already filtering your shower water, you should be. Its very important to one’s health to have a high quality filter and to be changing the cartridges on a regular basis. After trying many different filters I have decided to offer what I think are the best available. The Aquasana is best for water only being treated with Chlorine, for big city water being treated with Fluoride I recommend the Apex. First the Aquasana, by far the very best basic filter available. A two-stage shower filter that uses a combination of copper-zinc oxidation media and coconut shell carbon to reduce 91% of the chlorine in your water, and also reduces synthetic chemicals and enhances pH balance. This means that you’ll be able to enjoy the health and cosmetic benefits of showering in clean water, significant reduction of exposure to toxic chemicals while benefiting from softer skin and healthier hair. The Aquasana filter cartridges last 6 months or 10,000 gallons, this filter allows you to shower in the healthiest water for the best value. Second, the Apex has the ability to remove Fluoride. This filter utilizes activated Alumina to remove Fluoride, Arsenic, Heavy Metals and Chlorine. Fluoridation has become common place in most city municipal water treatment. Most people know not to drink tap water, but what they fail to realize is showering in unfiltered water is 10 times worse than drinking it. The EPA has stated that every household in the US has elevated levels of chloroform in the air from chlorine released from the shower. Tap water often contains more chlorine than is recommended for swimming pools. Because of chlorine, showering in tap water has harsh, drying effects on skin and hair and contributes to pre-mature aging. Skin pores widen while showering, making skin more absorbent of chlorine. The chlorine in showering water can cause rashes and other skin irritations when absorbed by the skin and lead to skin problems like eczema. Inhaled chemicals make their way into the bloodstream quicker than ingested chemicals, without the added filtration benefits of digestion. Nature knows no straight lines. All movements follow spiral curves and uniform courses, on a cosmic scale such as planetary movement. As well in the micro-cosmos like in the movement of a flowers growth. Water loses its quality of life when it is directed through a straight pipe under pressure or in a storage vessel that is square shape, where it unable to move due to the corners. It becomes stale, no longer refreshing, and no longer able to cleanse itself. As soon as it can flow freely again, it makes whirlpools and meanders. Everyone has had the chance to see the whirlpool in the bathtub, which is equally created by this inner impetus. Walter Schauberger found, while studying the form of whirlpool funnels, a simple mathematical law, after which he manufactured this funnel. 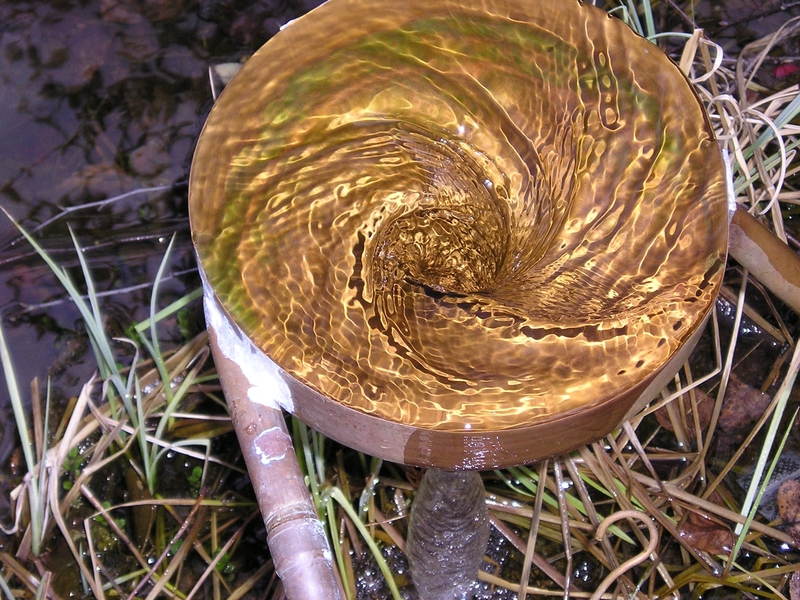 This hyperbolic form permits water to become full of life once again. It returns the vigor with rebuilding and invigorating energies like that of a natural stream. 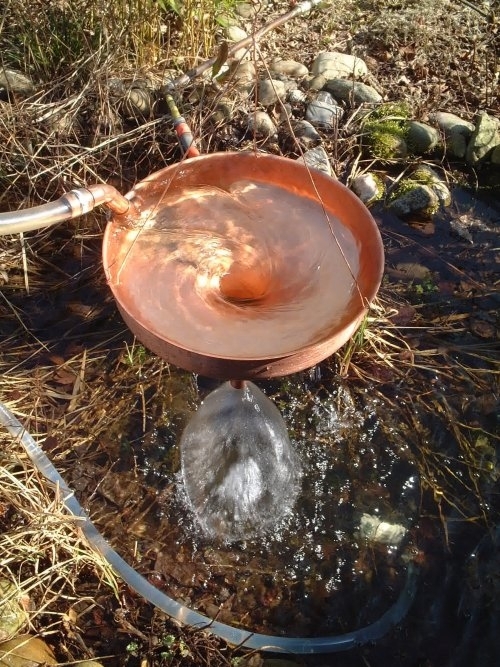 The natural whirlpool movement gives water its original powers and returns its ability to clean its self. Moreover, harmful substances break down in the water as atmospheric oxygen and carbonic acid is absorbed easily to the water with this whirlpooling action. 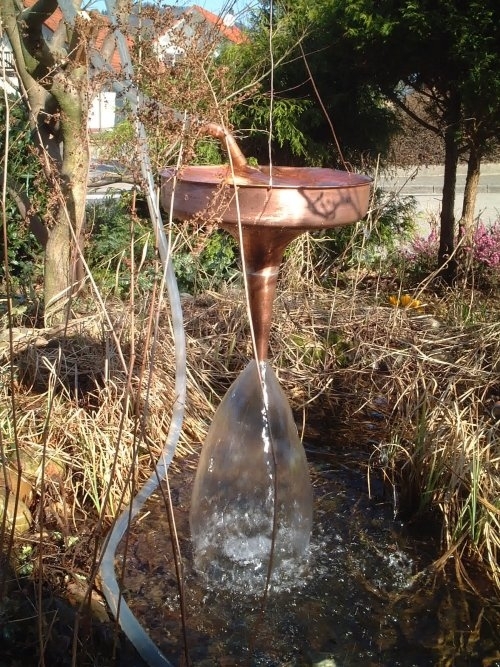 Hyperbolic cone fountains can be suspended over a body of water or permanently mounted with legs to the body of the cone. Also floating installations are an option. It can be fed by a submersible pump which can run from a solar electric supply. 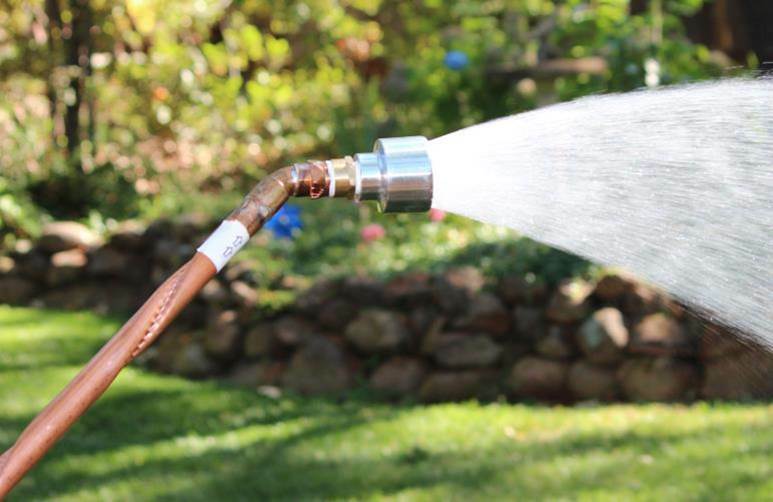 During installation, it is important to ensure that there is sufficient space between the mouth of the funnel and the surface of the water, so that a well-formed bell of water is discharged from the outflow of the funnel. 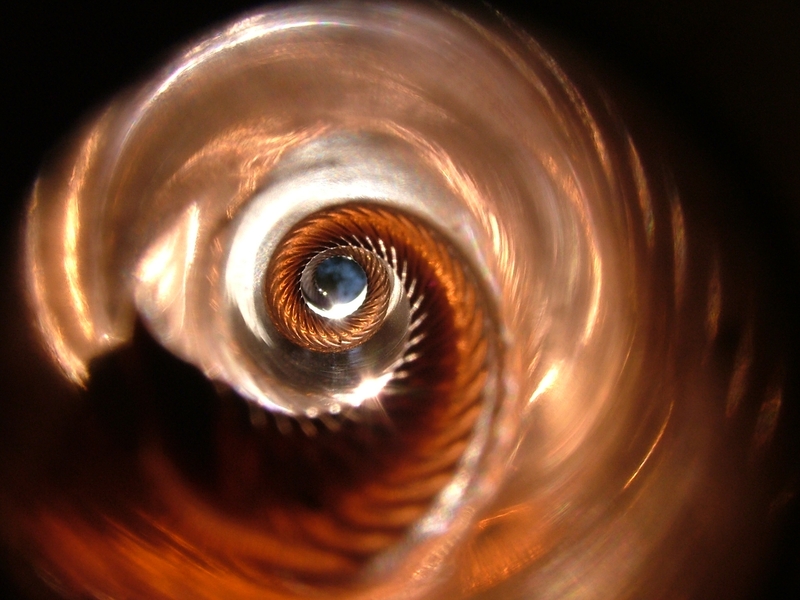 The combination of a spiral pipe on the inflow to cone further increase the effectiveness of energization. Hyperbolic cone fountains have proven themselves extremely effective on toxic golf course ponds in Germany. In a short period of 2 months out of control algae blooms receded leaving the pond clear and lively, inviting for bird and aquatic life to flourish! Based on ideas by Viktor Schauberger regarding water as a “living substance”, the Zell a. H. team, in collaboration with Erich Neumann has developed a simple and easy way to enhance the quality of Water. 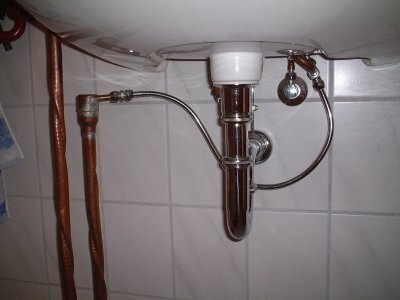 Installation of these pipes just before the exit point of the water in existing plumbing, such as a faucet or shower head. This pipe is gradually formed by a process in which a machine makes a series of indentations in the form of a spiral down the length of a pipe. Inside the pipe a scale-like surface is created to support the rhythmic flow of the water. In this way the water is directed to fold into itself allowing suction forces and whirling to occur. An outstanding energetic effectiveness is produced by the pipes on the water. The pipes are tested randomly by the manufacturer to a point of 10 bars of pressure. Spiral pipes are available in 1/2 and one meter lengths, also one meter pipe fitted as a watering wand. The Oloid is a proven device that induces circulation/mixing into a body of water or wastewater. The Oloid is extremely unique as it moves water in a way that no other system does. The Oloid is a real time solution for many of the problems currently facing the lake/pond management, wastewater industries, fish farm and zoos/aquariums industries. This system is highly efficient; it operates with fraction of the energy usage of conventional equipment. The Oloid is a versatile piece of equipment allowing it to be installed in numerous ways. In many situations the Oloid compliments existing water treatment equipment, making that equipment operate more effectively and efficiently. Maintenance of the Oloid is minimal, requiring only replacement of bushings and seals annually. Please watch the video below for a complete overview of the Oloid Technology. EM is a liquid bacterial product comprising three groups of microbes: Yeast, Photosynthetic Bacteria, and Lactic Acid Bacteria. EM works together with local and native beneficial microbes, creating a synergy among microorganisms. TrueSpring utilizes EM to improve water quality in lakes, ponds and wastewater, also to improve crops in agriculture. This video should expand your awareness of how much water healing in available to us in this moment! Watch how villagers and local public service organizations worked together to restore water quality in the Sea of Japan! Flowform Design Technology & Art from the Heart of Nature! There are three aspects to water quality that concerns; chemical, organic and energetic. The latter only recently entered Western consciousness even though it’s a concept that’s been upheld in ancient cultures for millennia and given credibility by Western science in the last 20 years. enlivening methods – incorporating the active vitality of a mountain stream and the pulse of life found throughout nature. The Flowform™ unique signature is therefore streaming water that generates a steady rhythmic pulse and a figure-8 flow pattern, proven through many applications and much research to increase water’s capacity to support life. Effective oxygenation also occurs, and this oxygen acts as a binder for the rhythmic enhancement of life forces. The rhythmic pulse of life is found in all living things, with or without a heart. Both Rudolf Steiner and Leonardo Da Vinci pointed out that only through rhythm does life flow. Living things are not just operating on a bio-mechanical and chemical basis! has been corroborating these energy field activities for some 50 years now. But it isn’t simply the material that emits energetic information. Different forms and movements also generate different frequencies, influencing the complex field of energy even more. Water is the most exceptional element on our planet. To a most sensitive degree, it continuously updates its internal molecular cluster structures with energy information coming towards it from other substances and activities, even from very far distances. Such energy can be either positive or negative for living forms and needs to be managed accordingly. As water spirals and swirls it continually renews itself with energetic frequencies coming its way, keeping up with time and therefore with life. Still water becomes stagnant only because it has ‘fallen out’ of the stream of life. Pictured above the Matatiki a beautiful, relaxing ceramic Flowform® water feature that enlivens the environment for your home, apartment, office and garden. It is very simple to set up, requiring only 5 liters of water and a power socket for the quiet pump that comes with it. Designed in New Zealand based on the Flowform® invention of John Wilkes (Associate of Royal College of Art) and beautifully hand-crafted by an ethical Buddhist family in their top quality ceramic studio in South Vietnam. 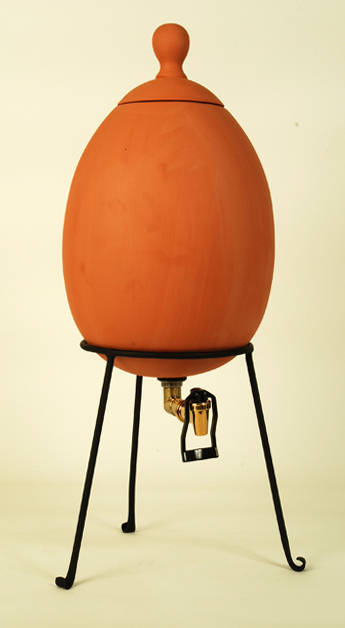 The Matatiki can energize tap water for drinking or activate liquid fertilizers for your garden. It comes with a water chute to collect vitalized water direct from the vitalizing figure8 flow. 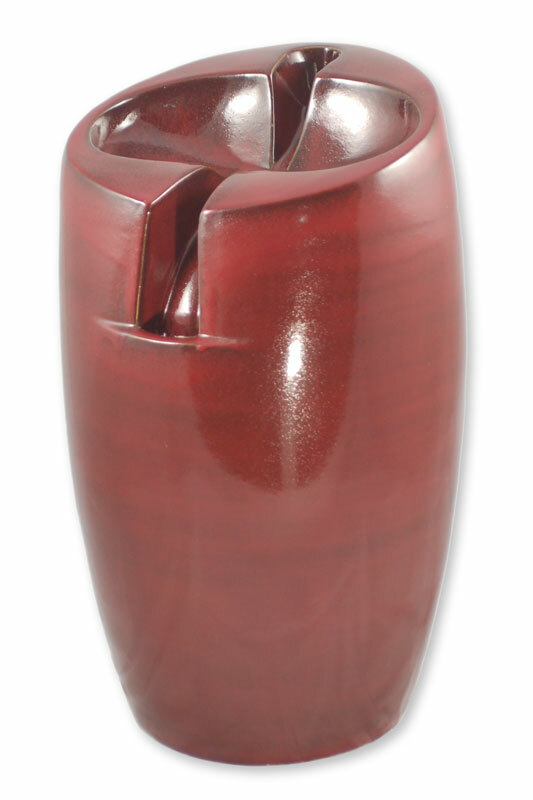 An ‘exterior’ ceramic vase that enlivens the environment for your garden, courtyard or patio. It is very simple to set up, requiring only 60 litres of water and a power socket for the pump that comes with it. 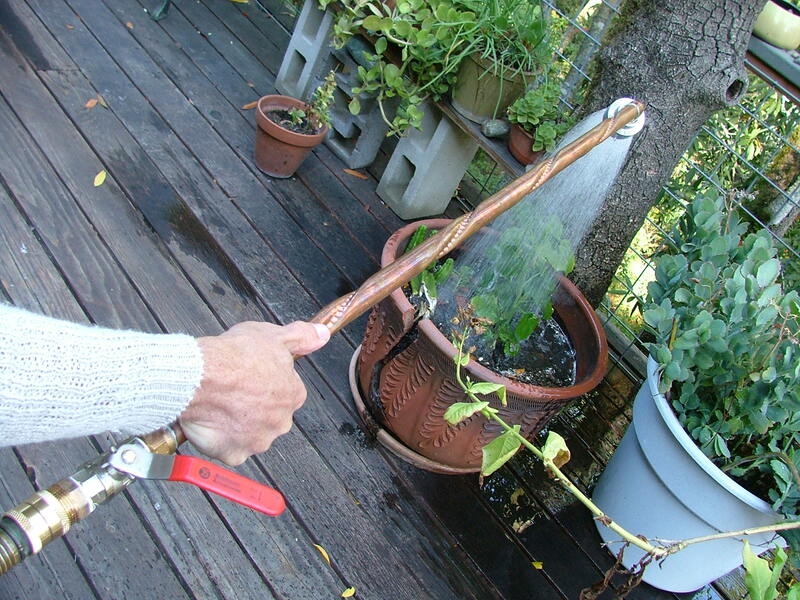 The ‘Kotuku’ can enliven tap water for drinking or activate liquid fertilizers for your pot plants and garden. It comes with a water collection shute. 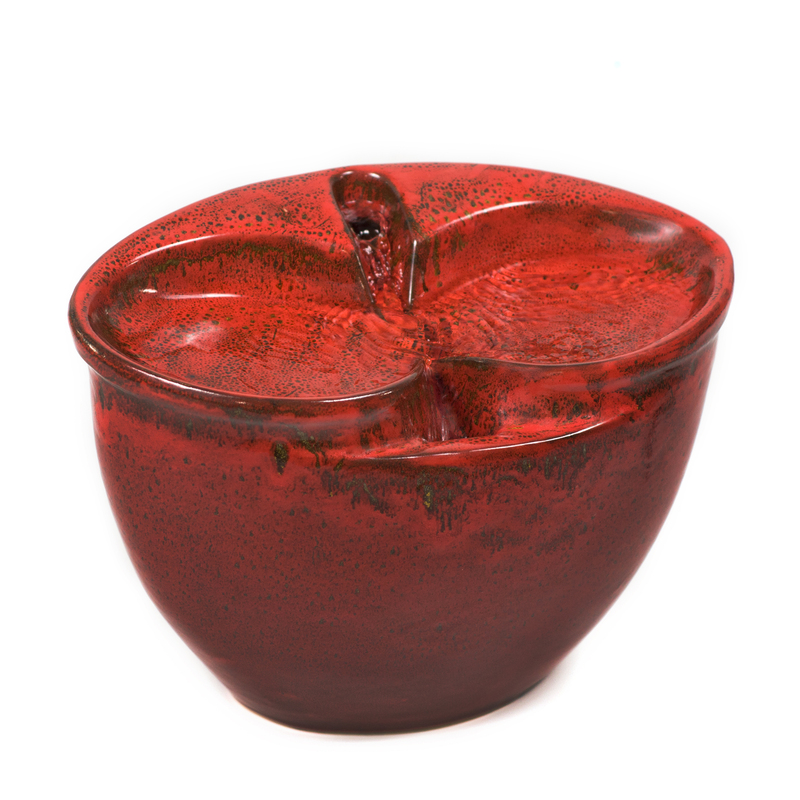 Beautifully produced by an ethical Buddhist family in their top quality ceramic studio factory in South Vietnam. Above, the Manawa Modern Contemporary Design to add a stunning dimension to your interior designed office apartment or home. Produced in the latest reactive water proof glazes complimenting the unique dynamic figure 8 movement. All of these ceramic Flowforms are available in a wide range of colors. 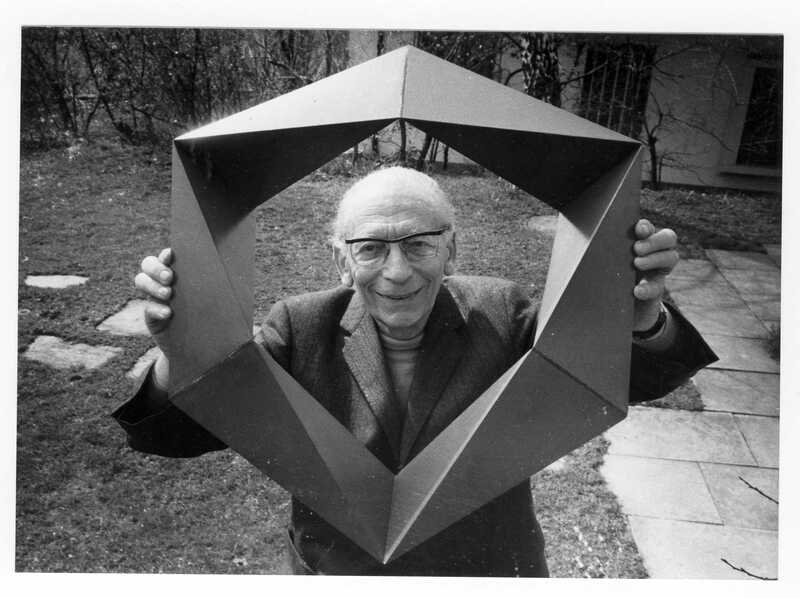 Paul Schatz was born in Constance on Lake Constance on December 22nd, 1898. His early life was shaped by his comfortable, middle-class background – his father was a town councilor and owner of a small engineering works. The technological achievements of the new century, in particular those of aviation, were welcomed and encouraged everywhere with tremendous enthusiasm. In 1916, the second year of World War I, the gifted student was awarded the Count Zeppelin Prize, a scholarship granted for coming first in mathematics and the sciences. At age seventeen, he was sent to the Western front as a radio operator. 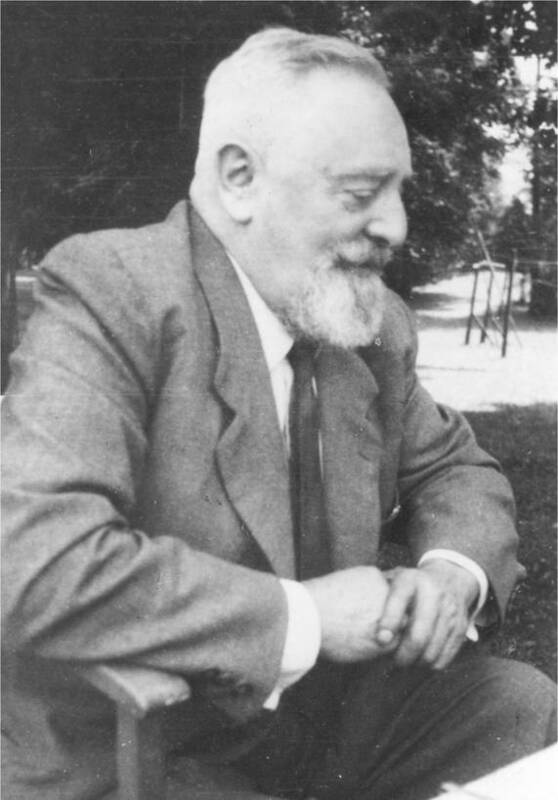 After the war, he began to study mathematics, mechanical engineering, and philosophy at the Munich College of Technology. Shortly before he was to take his diploma, he changed over to astronomy instead. Disenchanted by the abstract approach to the sciences prevalent at that time, he discontinued his studies in 1922 and began training as an artist at the Warmbrunn School of Wood-Carving in the Riesengebirge. Between 1924 and 1927, he worked as a sculptor and had his own studio on Lake Constance. 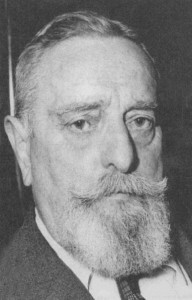 At the same time, he also began to intensively study anthroposophy, which increasingly led him to search for the origins of his own art work in an attempt to find a way of thinking the clarity of which does not freeze art to death, and to become a truly creative artist out of a clearly perceived reason and not one shrouded in darkness and beyond human control. As a result of this discussion, he published his book – A Quest of Art Based on the Strength of Perception. In 1927, he and his wife, Emmy Schatz-Witt, moved to Dornach (Switzerland), where the artist, inventor, and technician lived and worked until his death on March 7th, 1979. Paul Schatz saw his developing of novel technical designs in the sense of the Greek word techno as a simultaneous practicing of art. His great ideal was to seek and realize a new technology suitable for man and in harmony with nature. When he died in March 1979, Paul Schatz left a rich and striking oeuvre. His work was entirely dedicated to bridging the gap between the artistic and scientiﬁc activities of Man. A large part of human suffering in the shape of war, destruction of the environment, and the social gradient within society is to be attributed to this chasm between the emotional and the cognitive-analytical abilities of Man. The biographical impulses of his life’s work are due to his experience as a young World War I volunteer at the Western front and as a student in the revolutionary Munich of the postwar years between 1918 and 1922. In the humanities approach of Rudolf Steiner he found, on the one hand, the tools of epistemological methodology and cognitive theory and, on the other one, the artistic approach this required. His discovery of the laws of inversion within geometric bodies, in particular that of the cube, is an expression of the mental and spiritual revolution or inversion necessary to Man. Paul Schatz deﬁned the much admired objects and inventions as ‘‘waste products’’ of his spiritual-artistic vision. Indeed, the pedagogical value of the geometric models or the architecture to be developed from them can only be under-stood by considering this background. Without any training of one’s own imagination and mental capacity, not least supported and stimulated by the idea of inversion, progress in social life would be difficult to achieve. One consequence of the inventor’s and discoverer’s activities is his many technical inventions. Novel clocks, ship’s engines, mixers and agitators, motors and other technical developments strive to develop a machine or engineering art taking into account the needs of the environment and Man. Born in Constance in 1898, Paul Schatz moved to Dornach, Switzerland, in 1927, where he was to spend the main part of his productive life. A ﬁrst and important success of his technical invention was owed to Willy A. Bachofen AG, the Basel machine factory that sold thousands of his Turbula mixers for industrial and pharmaceutical applications all over the world over the years. Until this came about, there was a 20-year long battle against skepticism, criticism, and ignorance. The technical requirements to master mass forces and complex movements of the inversion kinematics resulting from the inversion of the cube were immense. WATER: The Element of Life! The authors’ approach to the current water and environmental crises goes beyond problem-oriented and piecemeal, band-aid solutions; rather, they suggest that we need a new and radical understanding of water—that we must, in fact, attain a revolutionary new level of consciousness if the Earth is to remain alive and available to human habitation. This pioneering classic on water is more relevant now than ever before. Theodor Schwenk (1910–1986) was a pioneer in water and flow research. He founded the Institute for Flow Sciences for the scientific study of water’s movement and life-giving forces. A well-known author and lecturer, he contributed original insights and methods to the production of homeopathic, anthroposophic medicines. He developed “drop-pictures” for analyzing water quality and methods for healing polluted, “dead” water. Schwenk gained public recognition with the publication of Sensitive Chaos: The Creation of Flowing Forms in Water and Air. Some refer to this as the holy grail of water books, it was the first water book i read. It had gone out of print in the late 90’s. In 2001 I ordered a small printing of 200 copies and distributed them a several eco minded events on the west coast. This seemed to cause a renewed interest in the book, the publisher brought it back into print and it has been selling well ever since. 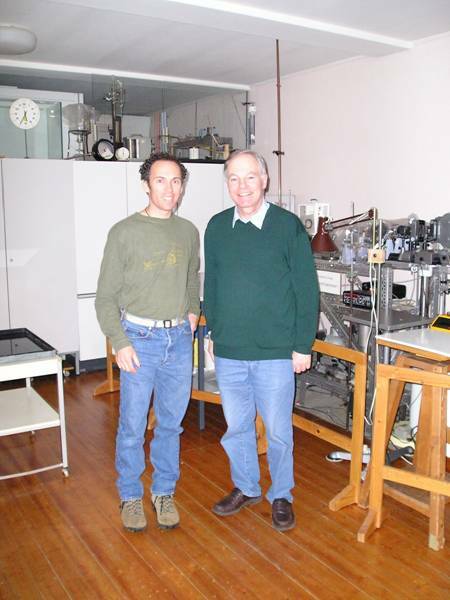 Myself with Wolfram Schwenk while visiting the Institute of Flow Science in 2004. For more information on this crucial water book, email me.